Our objective was to re-build the sled to be clean and solid. And to be as close to the TOC sleds as we could get. Along the way we made some modifications. 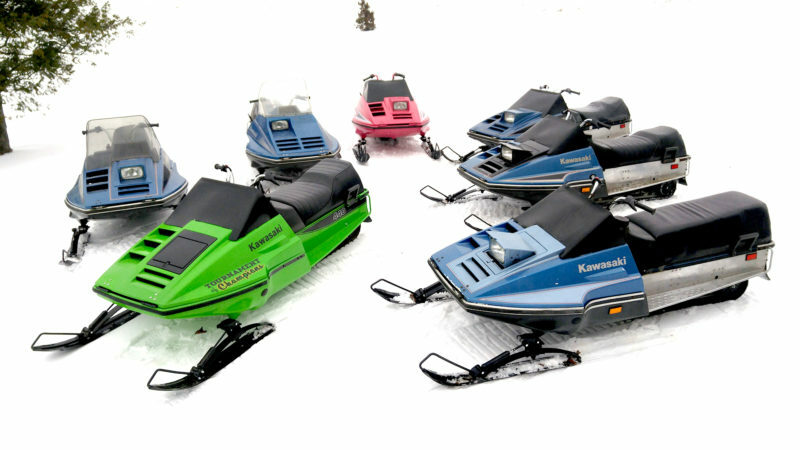 We have been collecting Kawasaki snowmobiles since the early 2000’s. 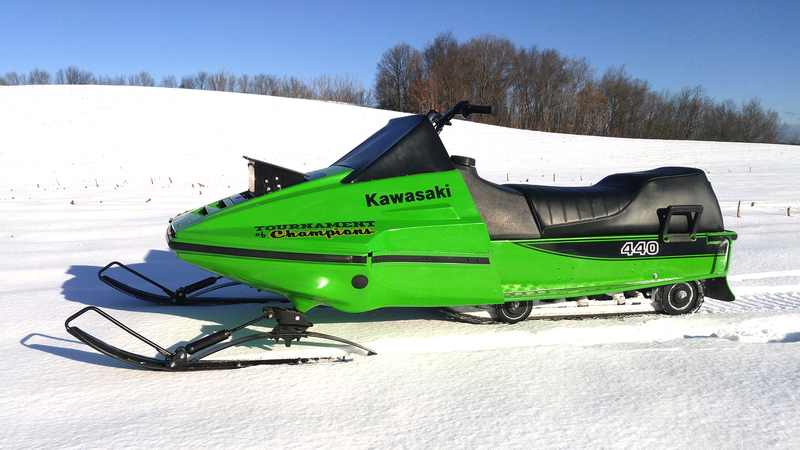 We have admired the Kawasaki Tournament of Champions sleds and paint schemes and decided to restore one of our sleds as a Tournament of Champions tribute sled. Most unique for this year model was the suspension. We incorporated an updated suspension to improve the ride. We also fabricated our own black windscreen. I guess what I am most proud of is the fact that after 38 years we have a sled that actually starts easily, runs well, and looks decent. I also appreciate the graphics that my friend Chris Lewis of Lewis signs created. The sled definitely turns heads, most first ask “what year is it” others are quick to say someone else they knew had an Invader back in the day and remembered them as being very fast. Love it! Nice to see the classics restored. Timeless style. It is great to see old machines of any kind be restored and if a betterment, upgrade or mods are added I am all for it. Love the green. Great work! Very well done custom work. 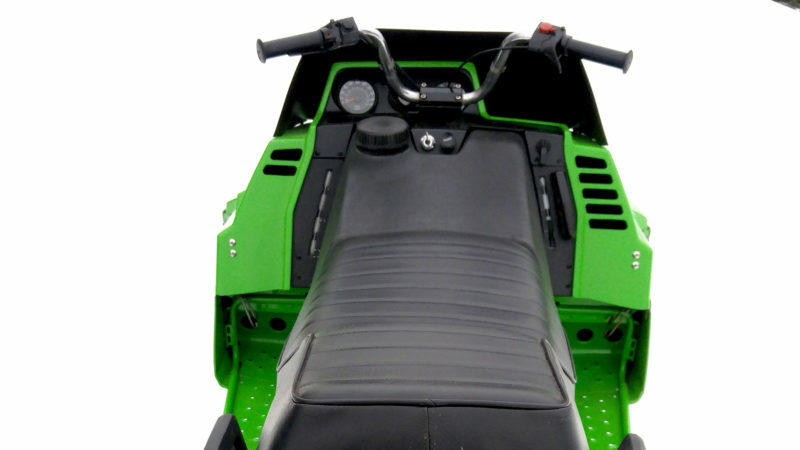 The Kawasaki sleds are a great sled to start with. That is a really cool Invader…..great job! Thank you. 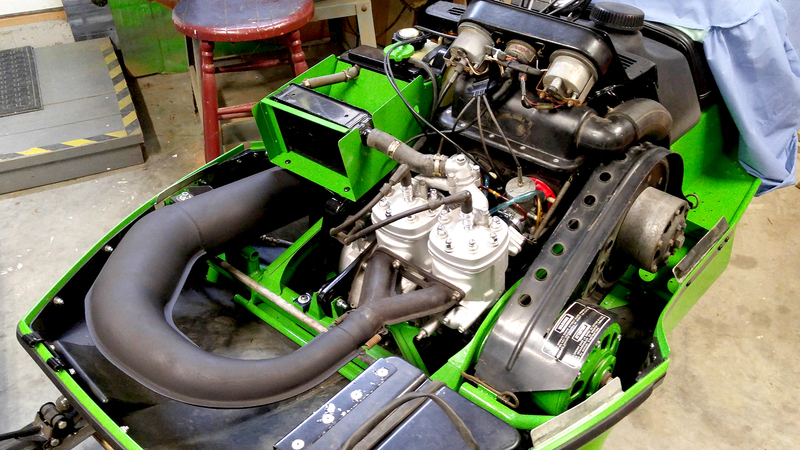 I neglected to mention that I am grateful to my wife for cheerfully tolerating this project, to Dennis Kirk for stocking so many great engine and driveline parts for these vintage sleds, and to my friends at KawasakiTrax.com for their friendship and encouragement. Love the bright green, Looks awesome! Beautiful, looks brand new! Love the classic look! GORGEOUS! This sled looks amazing! Love the color it will stand out on the trails. Well done! Very nice sled. Well built! First, the color is vibrant and cheerful. It’s very inviting and makes me want to take it out for a ride. Mark, you’re always out for adventures, and I’m sure you enjoyed every minute you put into this project. I applaud your sense of creativity. What timeless style! 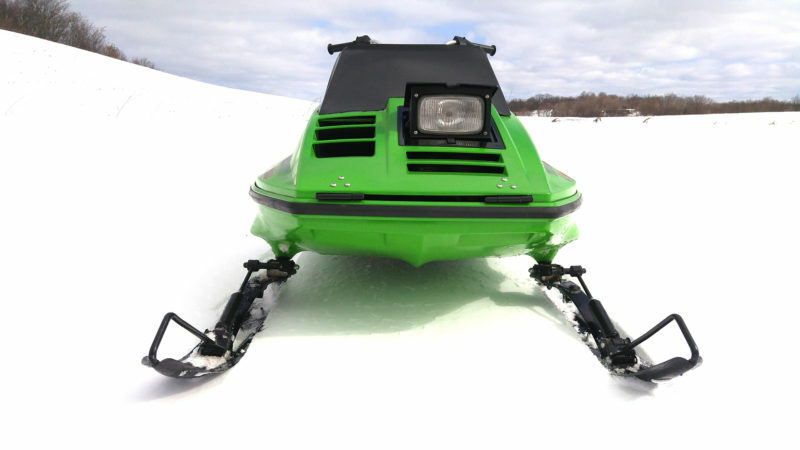 It’s so awesome to see these classic sleds restored. Great build Mark!!! Love the custom color scheme, graphics, and your attention to detail! The sled looks awesome. I love the green color, Mark did fantastic restore. Just think if Kawasaki would of stayed in the snowmobile business and had people like Mark designing there sleds. These sleds were well head of there time. 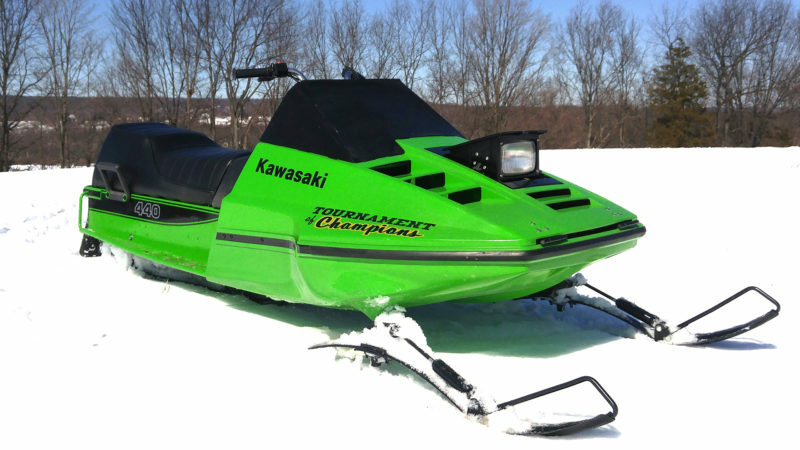 Great looking sled, Kawasaki from what I remember always hade very good engines . Great job!!! I can see a budding second career opening the NY branch of American Restoration. That is a nice looking machine! Looks brand new! I am jealous. Love the color! Great job! Wow, what an amazing job! I have seen quite a few Kawasaki’s and quite a few good ones. This one with the green paint really stands out. While it is not a true TOC clone, it does do a very good job of capturing the spirit of those sleds. And, I really love some of the detail – the green on the radiator housing and primary are a nice touch. This is a great sled. I am “green” with envy. Mark – Great job on the restoration!! Time to hit the trails!! Beautiful work! Inspiring as always!